The Six-peaked Doorway into Zhang Zhung. On the right, is the meditation cave of Drenpa Namkha. 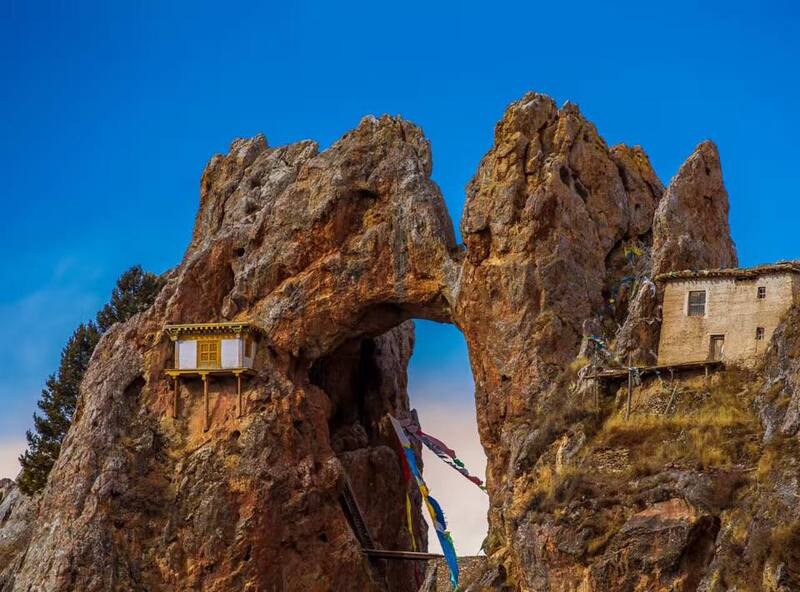 On the left, is the meditation cave of his son, Tsewang Rikdzin. Photo credit: Unknown. Posted on September 9, 2016, in Pilgrimage, Tibetan Culture & History, Uncategorized, Zhang Zhung. Bookmark the permalink. 1 Comment. This is part of Khyungpo Riwo Tsedrug Bon Monastery in Western Tibet.